Emily Hadley ’15, a 2014 DukeEngage participant and 2015 Duke graduate, was recently selected for the 2016 Data and Policy Fellowship by College Advising Corps. 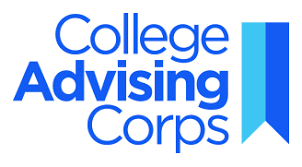 The organization provides underrepresented high school students with full-time college advisers in order to enable low-income and first-generation college students to expand on their educational opportunities after high school. Ms. Hadley is one of 16 Data and Policy Fellows who will develop their skills as researchers through professional development sessions and completion of a data evaluation project over the course of one year. Hadley spent her DukeEngage experience in Washington D.C. promoting academic achievement among students of all ages with a focus on closing gaps for low-income students. Hadley’s independent project included research components aimed at discovering success and opportunities for improvement within the education system, and presentation of these findings to community leaders and educators. Her experience involved working frequently with data, leading to the discovery of the importance of statistics in the evaluation of education policy. Hadley’s DukeEngage trip revealed the strong link between data and policy, and inspired her to apply for the fellowship. The program allows her to explore the ways in which data can communicate the challenges that college advisers encounter on a daily basis with a broader audience. She is excited to help inspire policy changes through her work as a Data and Policy Fellow.